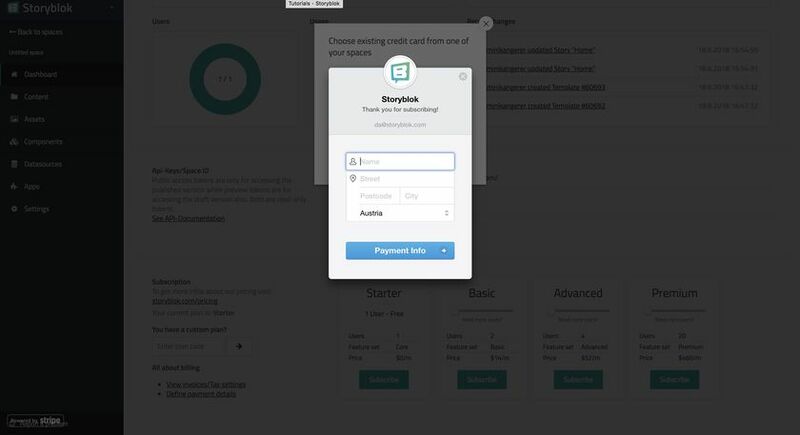 The guide below will show you how to set your new payment information for your Storyblok Space. 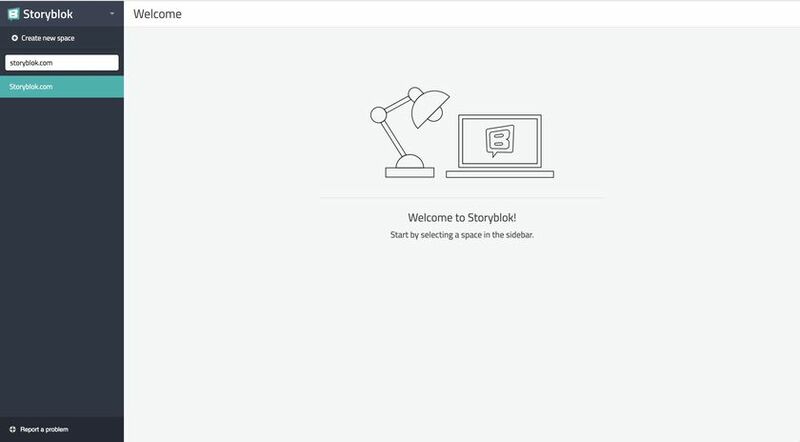 In Storyblok you will subscribe per space, you can therefore also update your payment information in each of those spaces. After you’ve updated one of your spaces you will be able to reuse that payment information to update other spaces without re-entering your information. 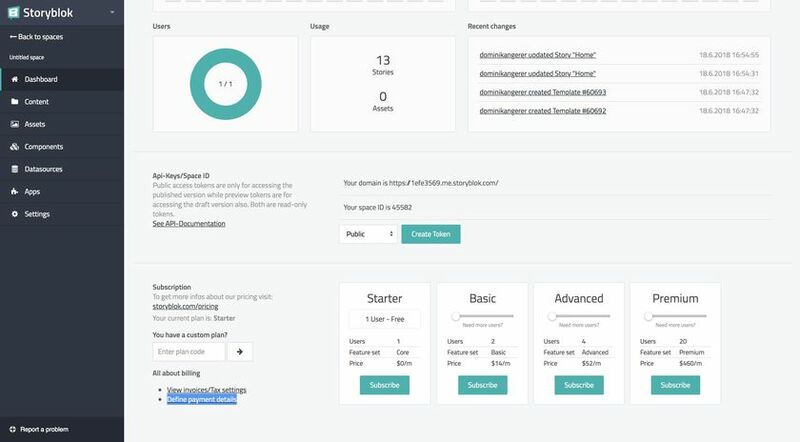 On the bottom of your Space Dashboard you will see a link “Define payment details”. After pressing that you will be able to choose from an existing credit card or enter a new one. To update your credit card information we simply add a new one which will override the old information. Therefore we will choose the “Add new credit card” as our option of choice. 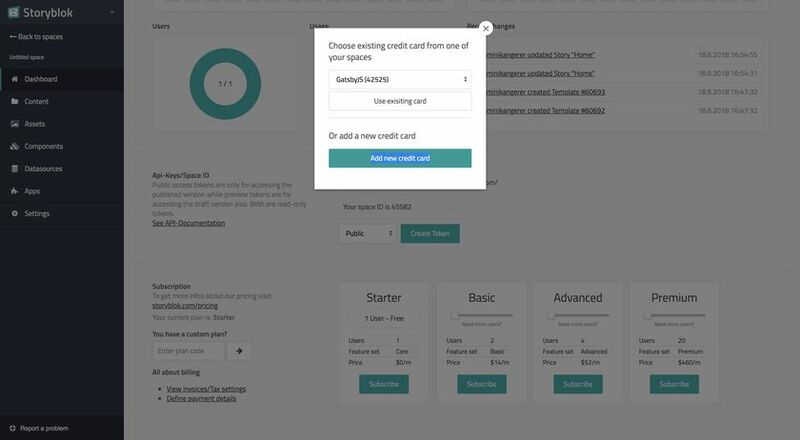 If you have a credit card already set for another space which is the same you want to use, you can go ahead and choose it from the drop-down above the “add new credit card” button. You will be asked for your information at this point, simply fill it out and go through the subscription dialog.